The administration of County Executive Laura Curran has been preparing to deal with possible confusion as it finishes a reassessment of all county properties. 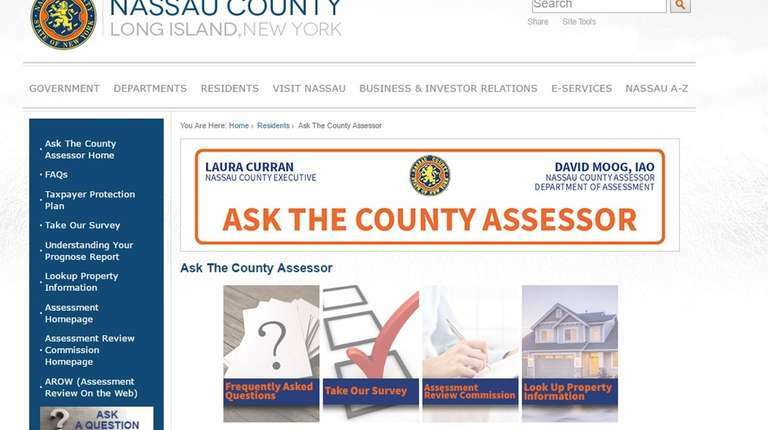 Nassau County has unveiled a new customer service website — “Ask The County Assessor” — to help county property owners understand the puzzling assessment process with new property assessment values set to arrive for the first time in seven years. The administration of County Executive Laura Curran, a Democrat, has been gearing up to deal with potential confusion as it finishes a reassessment of all county properties. The assessment roll was frozen in 2011 by the administration of former Republican County Executive Edward Mangano. The website, AskTheCountyAssessor.com, went live Thursday. The website has options for residents to search specific reassessment home values and features answers to frequently asked questions. Residents can submit questions to the department officials on the website. The county plans to rollout additional functions on the site, including a way to schedule appointments at the Assessment Department in Mineola, or at one of four mobile offices. 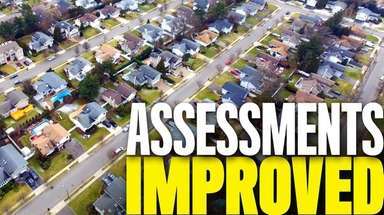 County officials said residents can review a report generated by Prognose, a new county software system, that provides a “full picture of a resident’s property assessment, comparable sales in their area and other important information,” according to a county news release. Assessment disclosure notices are expected to be mailed Nov. 1, and the tentative roll is expected to be completed by Jan. 1. Republicans in the county legislature have protested the administration’s handling of the countywide reassessment. The Curran administration last month said it would drop the level of assessment from 0.25 to 0.1 percent, in an effort to arrive at a more accurate tax roll. County officials use the level of assessment, a fraction of the property’s market value, to calculate residents’ tax bills. Curran in March signed an executive order to unfreeze the rolls. That order, which limited sharp assessment increases, referred to a 0.25 percent assessment level. A Republican-sponsored bill requires county officials to disclose the hypothetical tax impact of the reassessment in notices to be mailed to residents. Republican lawmakers on Tuesday said the County Assessor can have until Nov. 15 to complete the task after he had protested there was not enough time to publish them. Lawmakers are expected vote on the legislation on Monday, at the county’s next legislative meeting.